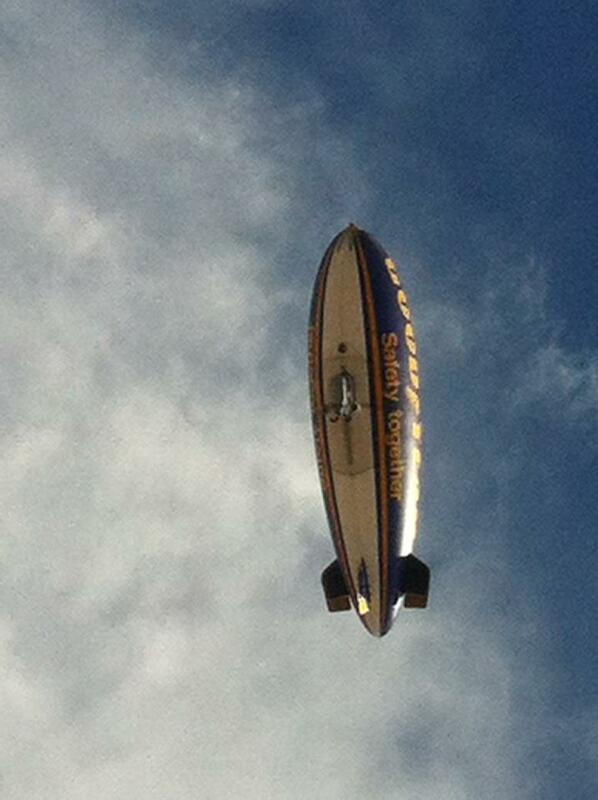 Interested in learning more about a particular course? Who better to talk to than the tutor in charge! This week, Katharine O’Reilly, the tutor for Ancient Philosophy, tells us a little more about her course and why London is the perfect setting for it. ‘One of the real advantages of studying Ancient Philosophy at King’s College London is that this city is a hub for the discipline – in addition to the course, there are talks by scholars, and other events, nearly every day. We’re also so lucky to have the British Museum on our doorstep, and during the course we make a trip to see the Greek collection, and usually have a talk from an expert. 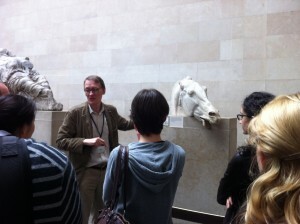 This last year we were lucky enough to have Sam Moorhead speak to us about a new interpretation of the Elgin Marbles. Experiences like that transport us back to the cultural surroundings in which the philosophers we study flourished. One of the aims with which the course was designed is to bring out the very practical consequences of doing philosophy. For the Ancient Greeks this was obvious: the philosophical school you were part of, and the conclusions you agreed with, dictated your life choices. Philosophy was a lived discipline. 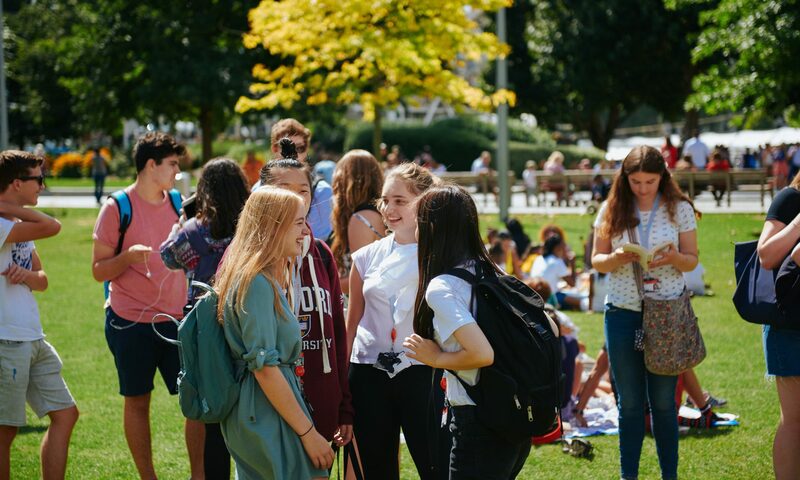 One of the wonderful things about the Summer School is that for many students studying away from their usual surroundings, joining this new community is a chance to do some self-reflection. Studying the Ancient Greek philosophers is a chance to use their work to help inform your thinking about your life, and for some that experience will be transformative. In addition to doing close reading of ancient texts, and debating the issues therein, we also look at modern writing which attempts to answer some of the same questions. This unique format means that in a short time, we not only get to grips with how to understand and evaluate philosophical arguments, we also get to trace the intellectual history of an idea up to the present debate. As a skill set to walk away with, this has some of the widest applications. The key questions we look at include some of philosophy’s most essential problems: Are the events of tomorrow already decided today? Can anyone ever really know anything? What is happiness, and is it different than pleasure? What is justice, and what do we owe each other? In class we’re interested in understanding what answers that ancient and modern philosophers have given to these questions, but we’re also interested in being critical of their arguments, and considering our own answers to the philosophical puzzles raised. Seeing students find their own voice in these central debates is always exciting. 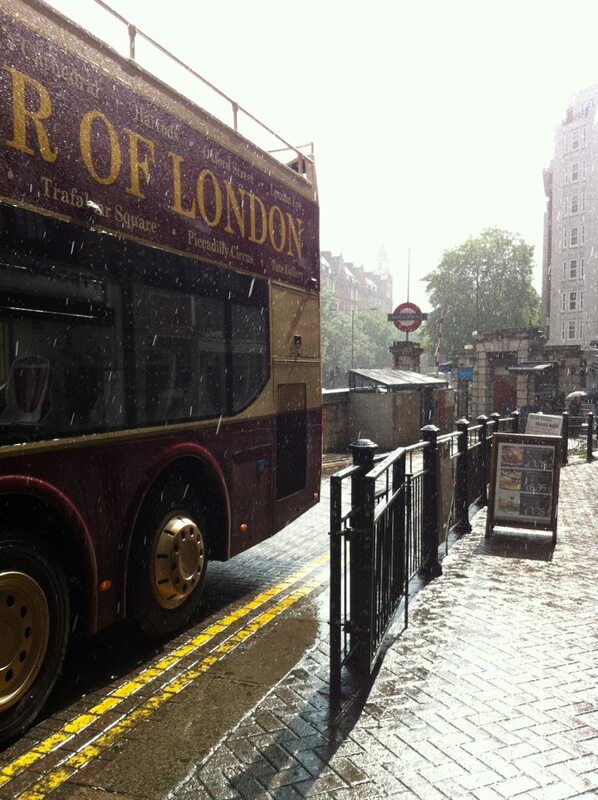 Now that spring has arrived in London I’m very excited that this year’s Summer School is approaching. 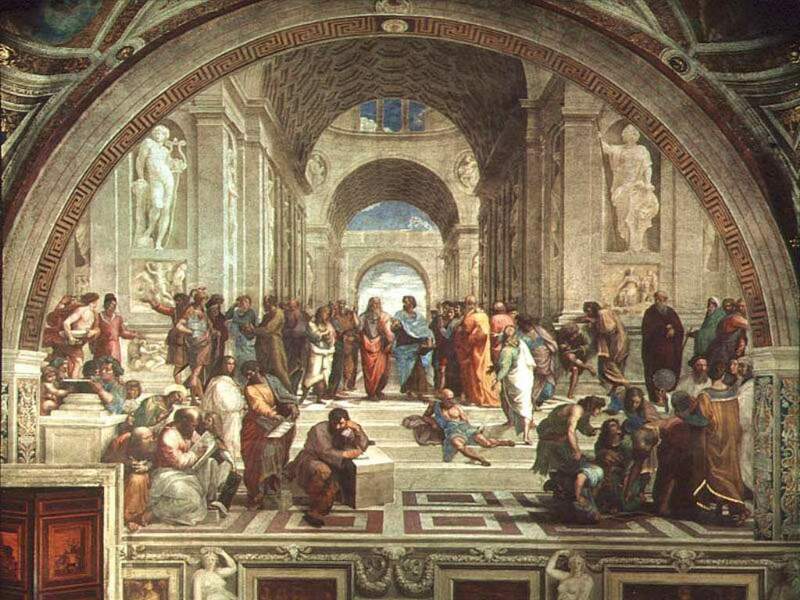 I invite you all to come and wonder with the ancients, and discover why the whole history of philosophy is merely ‘a series of footnotes to Plato’. You can watch a short introductory video of Katharine chatting about her course here. Hi! 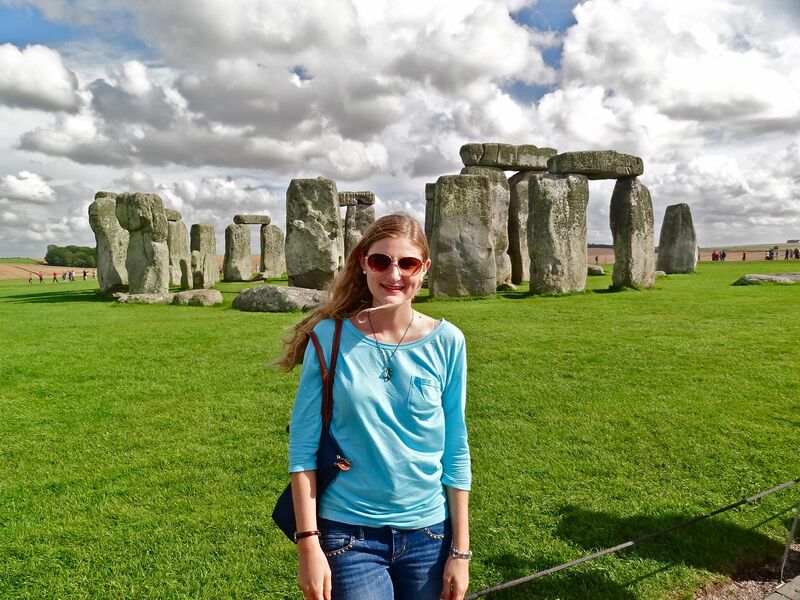 My name is Polina and I’m going to tell you about my experience in King’s Summer School, British Monarchy course. My first impression was the hall of residence – Stamford Street apartments. I really enjoyed staying there – close to the campus, close to the library, and close to the underground. The whole building was really tidy, and I was particularly touched by tea and sugar, available in the kitchen (I arrived late at night). The course itself was fantastic. 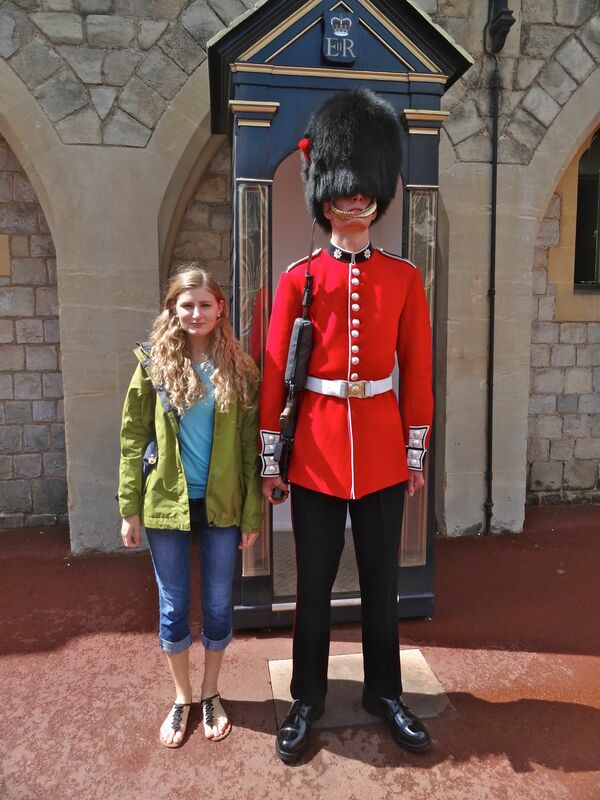 We visited several museums and Buckingham Palace. I am really grateful to Mr. Luke Blaxill – our tutor – for creating a friendly atmosphere in class and for encouraging us to analyze all the information we received and to express our ideas freely. I made a lot of new friends during my three-week stay. It was great to study together with so many nice people. I started to miss them already in Heathrow on my way back home. What struck me with particular amazement was the Maughan Library. I found there a lot of very useful materials for my essay. No wonder, actually, it is so large that I sometimes I had to use a map. Last but not least. I’m not a native speaker, and I’m usually afraid to miss something important. So my favourite activity was to approach different people asking questions, usually the same one for several times. I’m really grateful to all people working in Strand Campus, Maughan Library and Stamford Street apartments for being so helpful and so patient. 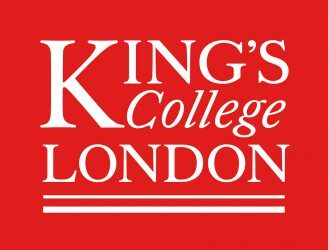 Last summer I had the opportunity of a lifetime, participating in the second session of the King’s College London Summer School. 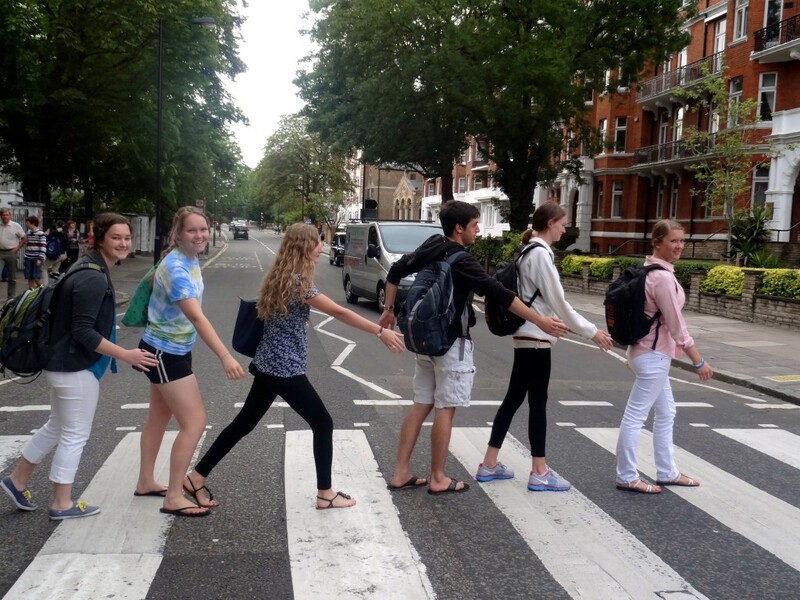 Living in Central London, engaging in a hands on course, learning more about the UK, and meeting students from all over the world truly made my experience enriching, eye-opening, educational, and fun! I was afforded the opportunity to participate in the Summer School through the US-UK Fulbright Commission King’s College London Summer Institute. My course of study was “The Olympic City: Global Games, Local Impact,” taught by Jason Luger. 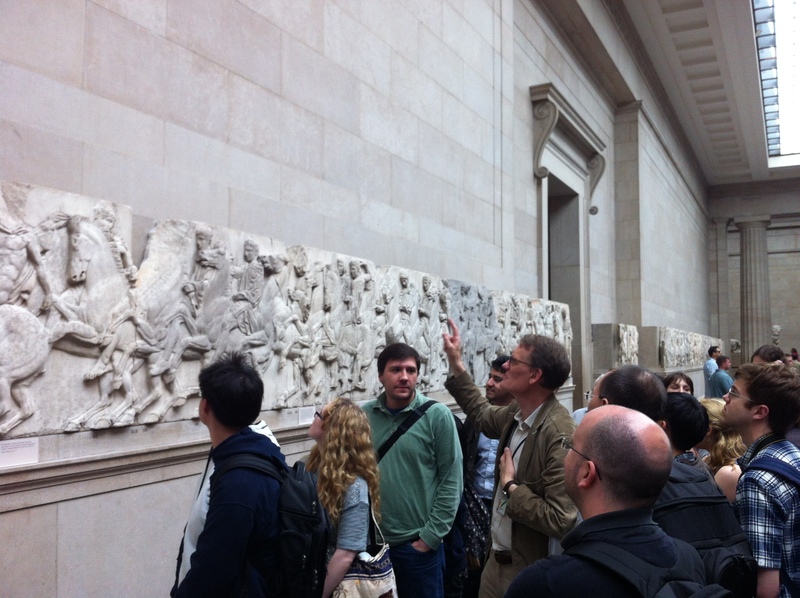 Jason did a fantastic job of making classes engaging, allowing for student participation and interaction as well as frequent trips around London. We not only studied the Olympic impacts in the classroom, but also were able to witness them first hand; we visited venue sites, toured the Olympic bid city of Manchester, and observed key events such as the torch relay. This successful integration of classroom and hands on study allowed my classmates and me to fully immerse ourselves in and appreciate our studies. Furthermore, it provided me with a wealth of Olympic related information which I am now utilizing in my current education. As an Industrial Labour Relations major at Cornell University, I am hoping to examine the effect of the Olympics on a host city’s domestic labour market, as part of a course’s final research paper. Of course, academics were only one portion of what made my experience at King’s so fantastic. Having never been to the UK before, I enjoyed the site-seeing and cultural experiences I was able to participate in. Living in the Stamford Street apartments provided easy access to all the exciting attractions Central London has to offer, such as the London Eye, Parliament, Big Ben, and Piccadilly Circus. However, in addition to participating in touristy activities, spending three weeks in London allowed me to explore the country more thoroughly. touristy areas of London. I frequented local markets, tasted new cuisines, and gained a better understanding of the intricacies of European life and culture. 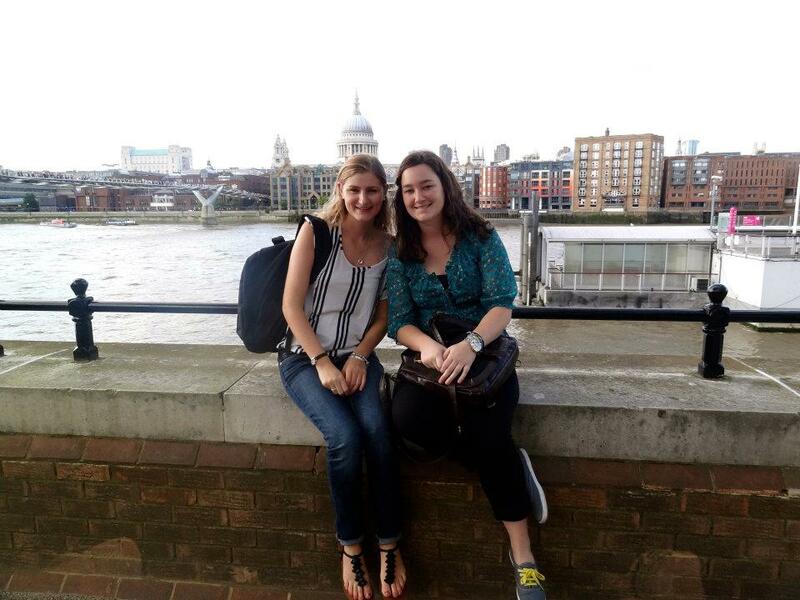 However, studying at King’s not only afforded me an opportunity to experience London life, but also to learn more about the world in general. My classmates hailed from countless different countries in Europe, Asia, and North America, facilitating the rare opportunity of getting to know people from completely different backgrounds and learn about their lives. I left King’s with several new friends from all over the globe, expanding and significantly diversifying my personal network. In hindsight, I cannot imagine any way I would have preferred to spend my summer. 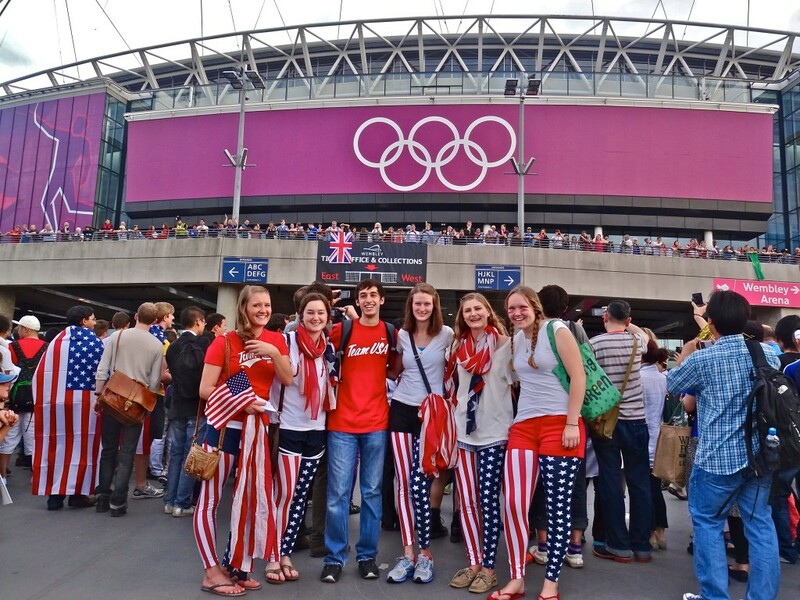 It has now been six months since my trip, and I am left with new friends, a huge knowledge base in my Olympic course of study, a better appreciation for European history and culture, a plan to spend a semester abroad in the UK, and the memories of a lifetime. Not a day goes by that I don’t miss my morning walk to class across Waterloo Bridge, and I am eternally grateful to the Fulbright Commission and King’s College London Summer School for enabling me to have the best three weeks of my life!